PayPal is the biggest online wallet in the world. It’s available in over 200 countries and 25 currencies, with 218 million active consumer accounts. 17 million merchants are now offering PayPal. Because of its popularity, web shops are advised to offer PayPal payments in their web shop to increase conversion. 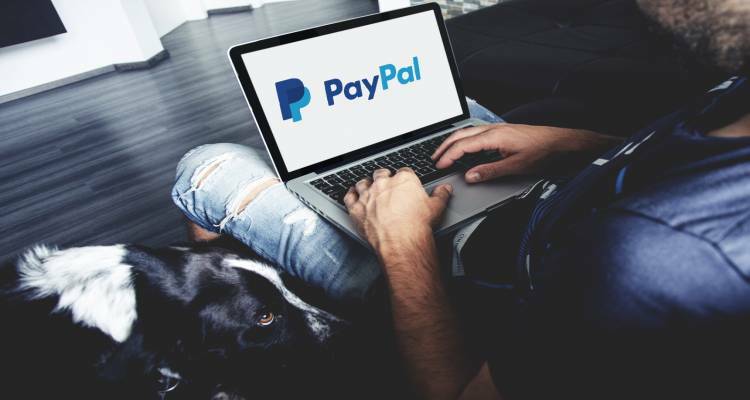 PayPal’s popularity has drastically grown under consumers over the years. This the payment provider's mobile payment volume amounted to 102 billion US dollars in 2016. And even though Generation X is the most frequent using group, all generations seem to have adopted this payment method. Therefore, web shops are advised to integrate this payment method as well, as not offering this payment method may lead to abandoned shopping carts. This is easily prevented by adding PayPal payments. For using PayPal, customers only have to register once. This makes it a very user-friendly payment method. Also, consumers have shown to trust PayPal, further lowering the threshold towards payments on your website. This will also benefit your conversion rate. And no one wants to lose sales because they didn’t offer the payment method the customer wants, right? Integrating the right payment solutions can greatly improve the success of your web shop. It may be useful to even show which payment solutions you offer with small logo’s on your homepage. By offering those payment methods your customers want to use, like PayPal but also other international methods or local ones, you'll make sure they don't have a reason to cancel their purchase in the last step in the funnel. These can be PayPal but also other international methods or local ones such as iDEAL or Bancontact. You can now integrate PayPal payments and other payment methods in your web shop, all from our Payment Service Provider platform. Find out more about local payment methods and international payment methods such as PayPal or contact us to get started. Customers demand an easy and convenient checkout experience. Meanwhile, fraudsters become smarter and more audacious in their online fraud attacks. How can merchants increase their conversion rate while keeping fraud at bay? Email marketing is a powerful tool for companies to improve customer engagement. However, the engagement you get depends greatly on whether you use email properly. We would like to share some examples of best and worst practices based on our own research. Continue reading to find out what (not) to do. With the arrival of PSD2, e-commerce websites (like Amazon, Zalando, Takeaway.com) who provide payment services must have a license to do so from January 13, 2018. From that date on, they are no longer exempted from a license obligation. How do you make sure your SMS campaigns are as successful as they can be? This 160-digit marketing tool offers more opportunities than you might expect. Here, we will share the 7 secrets to successful SMS marketing campaigns with you. Alessio Delmonti, Davide Berardi, Tobias Büschel and Natig Babayev from WIT (Without Internet Technology) have won the first price from Uber and CM Telecom with their IoT hack at the The Next Web Hack Battle. Mobile Wallets, NFC, iDeal, credit cards: since the smartphone got somewhat globally ubiquitous, we’ve seen multiple mobile payments solutions. But really none of them sincerely is out front.